Over the 2014 Christmas period Westonzoyland Carnival Club spent many hours taking Santa round the local area collecting for charity. This year the collection proceeds went to Women v Cancer. 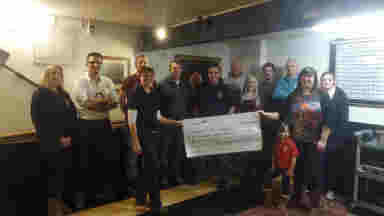 A cheque was presented to Lisa Clements for £581.86 on behalf of the club on Sunday 15 February.